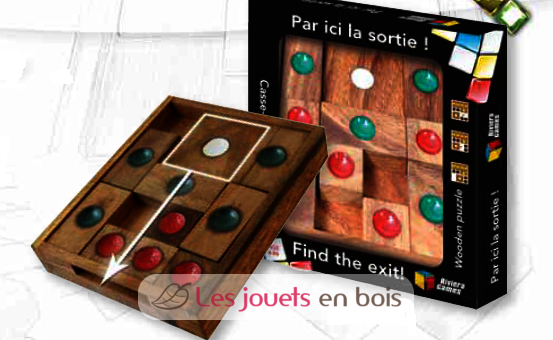 "Find the exit", wooden patience game made by Riviera Games, SJGE. 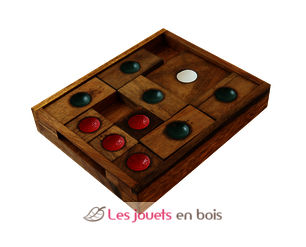 Home > Catalog > Board games > Other board games > Intelligence toys, Bilboquet toys > "Find the exit"
Move all the wooden pieces to pull out the large white part of the board - 21 variants of play. "Find the exit", wooden patience game made by Riviera Games, item number SJGE.